We are Smith College's Center for the Environment, Ecological Design, and Sustainability. Call us CEEDS. 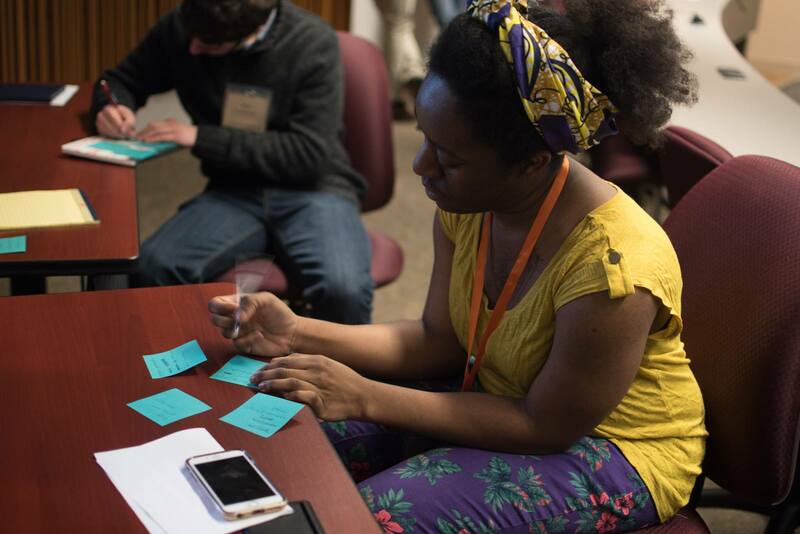 Eleanor Igwe (’17) jots down potential project ideas during a rapid brainstorming session. Over the past 5 months, CEEDS intern Brittany Bennett ’16 worked together with Athena Sofides ’19 to plan and carry out the Northeast Regional Conference of the Engineers for a Sustainable World at Smith College. Building upon Smith’s reputation as a place to explore all kinds of issues related to feminism and social justice, the two decided to organize the conference around the theme “Environmental Justice and Engineering”. 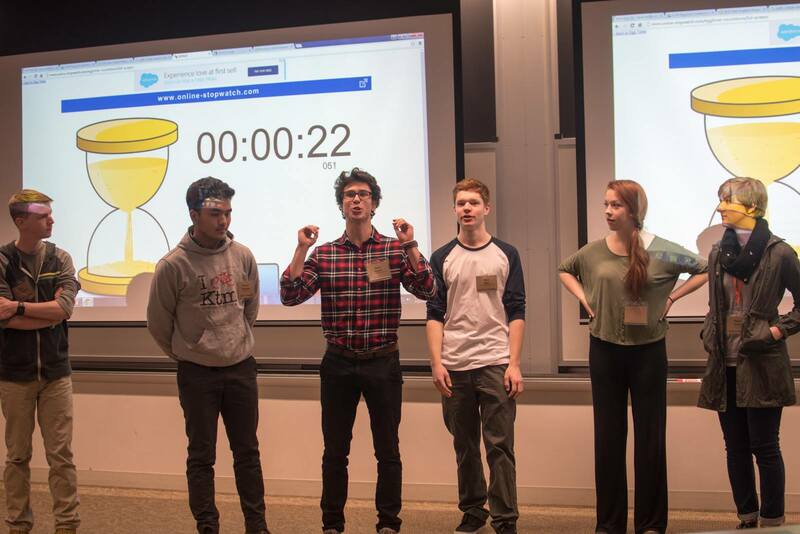 Students give their 30 second pitches for their project ideas. Over 45 students were excited to attend the Saturday, February 20th conference. In addition to Smith, the student attendees represented chapters from the University of Rhode Island, Union College, the Stevens Institute of Technology, and UMass Lowell. Participants had the chance to sharpen their spatial analysis skills through a hands on workshop in GQIS, gain insight into the world of sustainable transportation, get an introduction to radical, intersectional climate justice, and explore the many ways engineers can apply solutions to issues in the developing world. 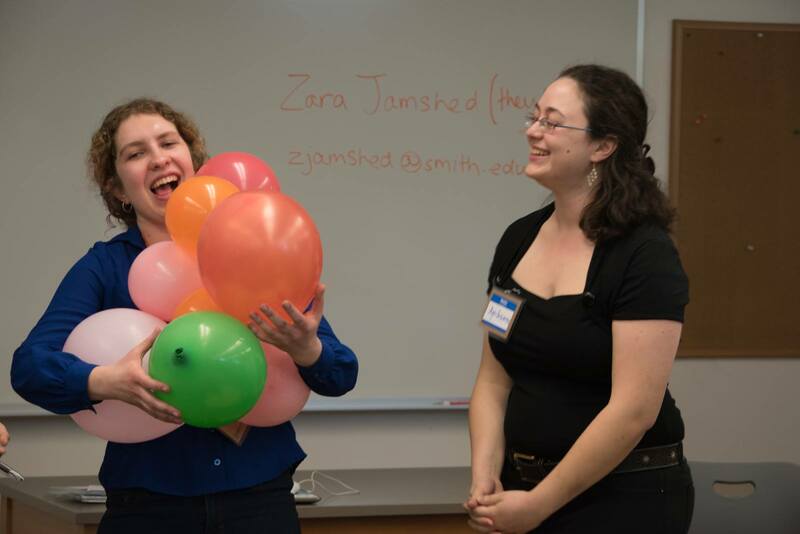 Laura Lilienkamp (’18) and alum Maya Kutz (’15) act out an activity demonstrating carbon emissions from industrialization. -Brittany Bennett ’16 is a senior engineering major at Smith. In addition to her academic studies in the Picker Engineering Program, she is also the Senior Adviser to the Smith chapter of the Engineers for a Sustainable World (ESW), and the Deputy Director of the national ESW organization. Migrant Justice comes to Smith! Food for Thought: Alumnae and Food! Florida Adventures with Native Bees! What’s Up with Paradise Pond? Globalization and Sustainability in Costa Rica Smith College, Northampton, Massachusetts, U.S.A.